2 storeys over partially exposed raised basement, with 14-bay principal facade. Asymmetrical school building with French style detailing, built into hillside. H-plan main block with 1901 addition to N end, and square 3-storey tower in S re-entrant angle. Bull-faced squared and snecked basement, stugged, squared and snecked sandstone walls, and stugged dressings to quoins and chamfered openings. September 2009: External inspection finds the former school is vacant and being advertised for sale following the building of a new primary school in Aug 2007. 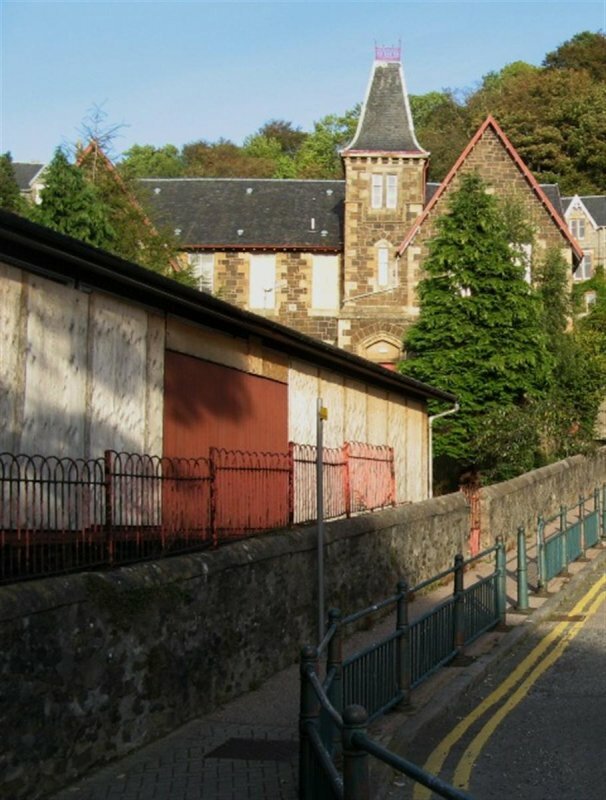 The Oban Times reported in Aug 2009 that, following a feasibility study in 2007/8 which favoured community use for the property, the property was marketed for sale but only attracted one bid. 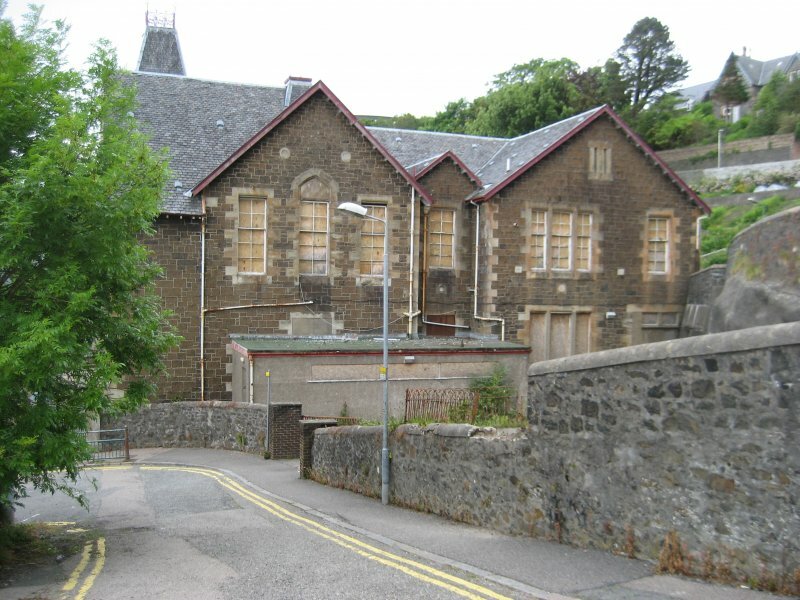 January 2012: The Oban Times reports Argyll and Bute Council is intending to approach Historic Scotland to review the listed status of the school. 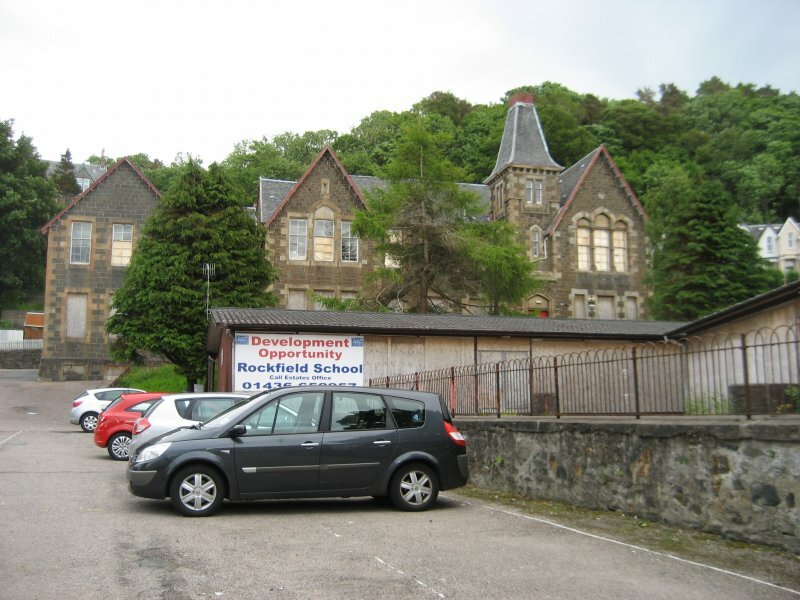 16 April 2012: The former school remains on the market for sale, offers over £475,000, by Argyll and Bute Council. 24 June 2012: External inspection finds the building remains empty and boarded up. Gutters are blocked and there is weed growth and evidence of vandalism in the form of graffiti. The playground is in use as a car park and there is open access across the site but all the buildings appear secure. 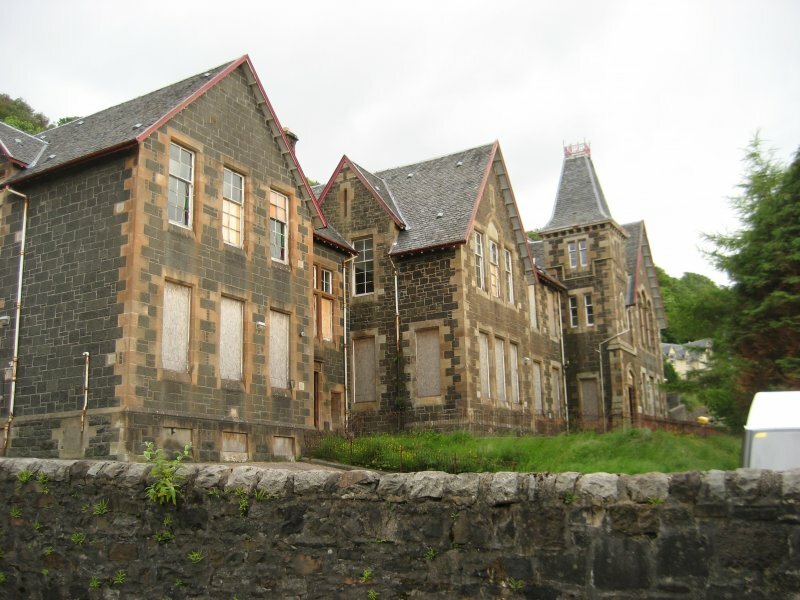 The building remains under marketing by Argyll and Bute Council at offers in excess of £475,000. 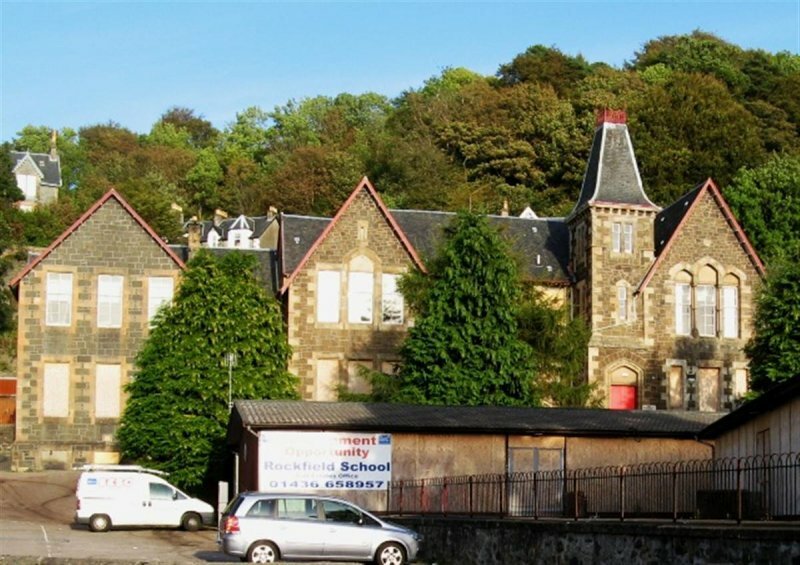 2 October 2012: Argyll and Bute Council is hosting a developer day on October 4 to stimulate interest in the sale and development of the former school. The event will provide access to the buildings with representatives from Historic Scotland and the planning and conservation representatives from the Council to answer questions on redevelopment or conservation of the property. The event will also take in Kilbowie House which is shortly to be marketed for sale. 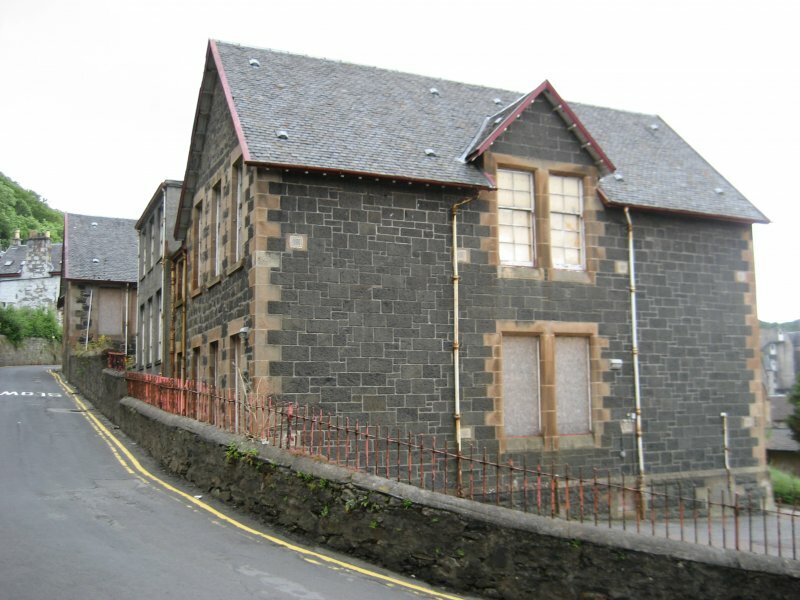 16 February 2016: Oban Communities Trust purchased the former school in May 2015 with various renovation works underway to the school building and surrounding grounds. Some parts of the building have been brought back into use with a Design Team being tendered for the full regeneration of the building. A recent (Jan 2016) award of £18,000 from the Crerar Trust is being used towards the creation of a pilot programme of cultural activities and events at the site. Listed Building Consent for the demolition of a school classroom annexe is being sought ref: 16/00268/LIB. 14 May 2018: Listed Building Consent for a mixed community re-use of the site is being sought ref: 18/00740/LIB.